Mount Pleasant Golf Club located in Lowell, Massachusetts was established in 1910 and incorporated in 1911. The founders of Mount Pleasant were friends and neighbors who had common interests; they wanted to “promote social interaction, out-of-door exercise, tennis, golf and other athletic sports”. The name for the club was taken from The Mount Pleasant Realty Company and the original nine holes were located on the corner of Stedman and Westford Streets. These holes were constructed on 38 acres of land; one parcel was leased from the M.C. Pratt Estate at the cost of $250.00 per year, another from Robert Bartlett for $40.00 per year. Mount Pleasant’s land purchases did not begin until 1914. During Mount Pleasant’s existence, there have been only two club houses. The first was no more than a red shed consisting of one room and a small ground level porch. This small wooden structure remained until 1922, when the footprint for the current, modern club house was established. There have been many major renovations to the 1922 club house. The most recent renovation in 2003 thoroughly modernized the members’ grill, locker rooms, proshop and function hall. Often called a neighborhood or family club, Mount Pleasant is a private equity owned club with a very well groomed nine-hole course. The club is tucked away in a moderately dense residential area in the Highlands section of Lowell. Well known to a large number of area residents, Mount Pleasant is the scene of many a shower, wedding reception, political meeting and charity event. The attractive Mount Pleasant function hall is offered for the public use at a reasonable rental fee. Many dedicated men and women have contributed their time, talent, and financial support to create a community of which all members can be proud of. Current members believe that the Mount Pleasant legacy must be passed along to ensure that the friendly, family atmosphere will continue to be enjoyed by future generations. The improvement in our facilities through the years has instilled much satisfaction and pride within the membership. 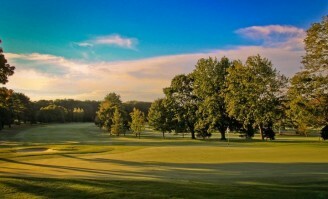 However, the strength of Mount Pleasant Golf Club is in the quality, dedication, and integrity of its members.